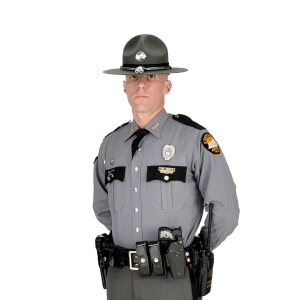 Ingram, Ky. (April 10, 2019) On April 10, 2019 at 9:08 p.m. Kentucky State Police, Post 10 Harlan received a call about a collision on Ky 92 in the Ingram community of Bell County. Troopers and Detectives from Post 10 responded to the scene to begin an investigation. Preliminary investigations indicates a pressure washer had fell out of a pickup truck and into a ditch. The owner of the pressure washer was attempting to load it back into his truck when an individual stop in the roadway to assist. Adia Fuson, (59) of Ingram placed his vehicle in the east bound lane of Ky 92 to attempt any vehicles from striking the individuals loading the pressure washer. A black mid 90’s possible Hyundai sedan with two male individuals in their 20’s or 30’s were traveling east on Ky 92 when they left the roadway and struck Mr. Fuson. Mr. Fuson was pronounced deceased at the scene by the Bell County Coroner. The two individuals then fled from the scene in the vehicle. KSP is asking the public with assistance in this case. Evidence from the scene indicates the vehicle that fled is missing a headlight, passenger’s side mirror and should have damage to the front end. Collision is under investigation by Det. Josh Howard. KSP were assisted at the scene by Bell County Sheriff’s Dept, Bell County Fire, Bell County EMS and Bell County Coroner. Tpr. Don Perry was patrolling US 119 this morning when he saw a vehicle matching the description of the vehicle involved in the collision. Tpr. Perry conducted a traffic stop in the Page community of Bell County which led Detectives to charging both inside of the vehicle. The operator of the 2002 Hyundai Elantra, Joshua D. Ellis (34) of Monticello Ky and his 15 year old son were traveling from Monticello to Harlan when the collision occurred. Mr. Ellis is charged with leaving the scene of an accident-failure to render aid with death or serious physical injury and lodged into the Bell County Detention Center. The 15 year old son is charged with tampering with physical evidence and placed into a juvenile detention center.